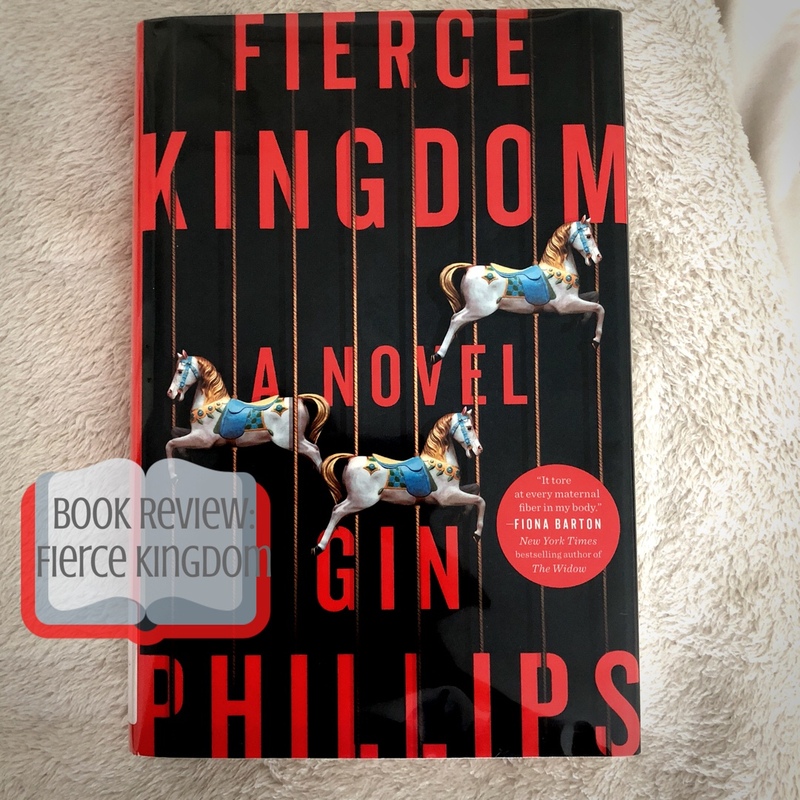 In Fierce Kingdom by Gin Phillips, Joan and her four-year-old son Lincoln are using every last minute to enjoy playtime at the zoo. Literally every last minute, as in it’s closing time and they’re in the furthest exhibit in the park. As the two hurry to the exit, they are forced back into the zoo as a mass shooting unfolds at the gates, bodies littering the area. For the next three hours – the length of the book – Joan is forced into using her motherly instinct to not only keep Lincoln and herself alive, but also keep involuntary human needs at bay, like starvation and urination. She is forced into quick wit to keep them quite, hidden and most importantly, alive. Personally, I love how Phillips used the timestamps at the beginning of each chapter to break up the story, because it did seem like an eternity, as it probably did for Joan too. Fierce Kingdom doesn’t just follow Joan’s point of view of survival, but also the POV’s of two other characters: Kailynn, a teenager working in the zoo’s restaurant at the start of the shooting, and Margaret Powell, a retired school teacher who was at the zoo. The three women link up in hopes of survival, but quickly become more vulnerable in larger numbers. There’s also some insight to the shooters: Mark and Robby. Robby is a kid who isn’t quite understood (cue the typical stereotype for mass shooters…) but has a sense of empathy towards the victims. The two reference Destin, a character we don’t meet, but who is the mastermind behind the whole violent and heinous act. In all honesty, I had a lot of high expectations for this story but was ultimately disappointed. I saw riveting reviews for this story on theSkimm and heard people talk about how great it was, but I couldn’t see the hype once I finished. I was left wanting more answers than what I got and was really bummed that I invested the time reading this. It shouldn’t discredit Phillips because she did hook me in, it just wasn’t line and sinker. It was a story that fully engrossed me and captivated me because I had to see how Joan would react to scenarios, but the ending felt incredibly rushed and half-assed. I would have rather taken more shock factors (like Joan discovering a baby hidden and wailing in a trash can) to get more out of the story, to really make you wonder how you’d react in real life. The plot is something I had never seen before and Phillips had a way of pulling us in, making us turn each page quicker than the last to find out if they survive, but she just couldn’t execute the ending, at least to my standings. I would have also loved to learn more about the shooters’ psychology. I don’t want to romanticize the idea of feeling any sort of empathy for the shooters, but knowing what exactly made them want to act on this, rather than the brief discussion about Destin, would have made it more enjoyable. Making these characters scarier than what they already were could have heightened the story and add to that shock value. This is a story that could spark a conversation about safety in situations like a mass shooting. It definitely made me reconsider what I’d do if, God forbid, I was ever in a situation like that, so it might be something worth reading. I wouldn’t go out of your way to put it on top of the To-Read list though. This entry was posted in book reviews and tagged #blogger, bbloggers, beauty blog, blog chat, blogger girl, blogger life, blogger lovin, blogger style, bloggers, blogging, blogging gals, blogging tips, book haul, bookgram, books, books and tea, bookshelfie, bookstagram, booktography, fashion blog, fbloggers, fierce kingdom, gin phillips, good reads, instabooks, life with sarah, lifestyle blog, on the blog, reading challenge, reading corner, sarah lokker, sarahhlokk, savvy blogging, story time, yalit. Bookmark the permalink.